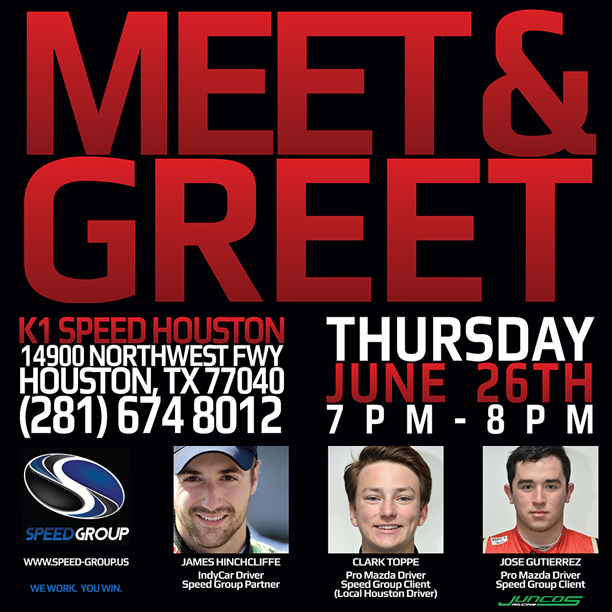 Hey race fans, come kick off the Houston Grand Prix activities at K1 Speed Houston by meeting and racing against some of your favorite Speed Group drivers. 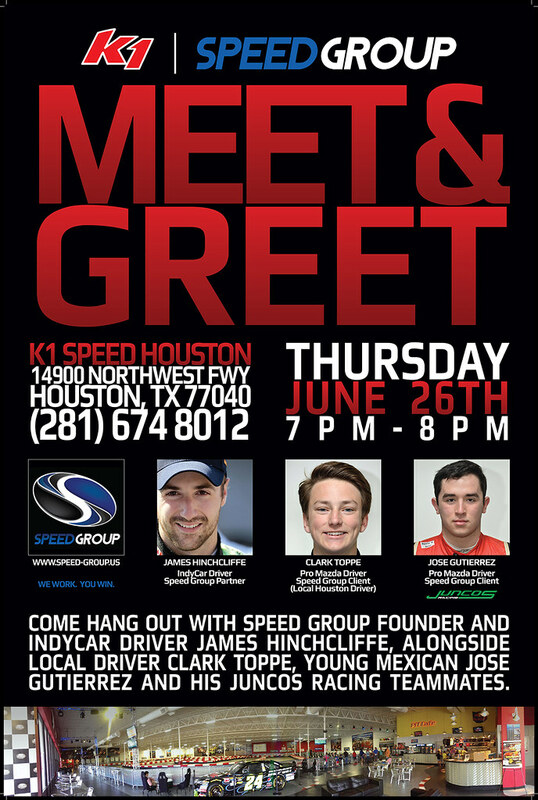 Come hang out with Speed Group founder and IndyCar driver James Hinchcliffe, alongside local Houston driver Clark Toppe, young Mexican Jose Gutierrez and his Juncos Racing teammates. Special appearance by the UFD Girls!!! Did you know that all these drivers started their careers in go-karts? K1 Speed and Speed Group have partnered to give aspiring drivers like you the opportunity to one day become a star like them. Come see us to learn more.